I was recently lucky enough to take part in a 4 day Hurtigruten seminar at sea onboard the MS Trollfjord. 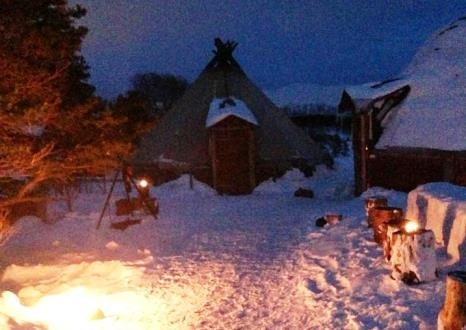 I enjoyed the trip immensely, with the highlights being Husky Sledding and seeing the Northern Lights. I hope you enjoy my day by day blog, please feel free to ask me any questions you may have. On arrival at London Gatwick I met my group and the Hurtigruten representatives who I’d be spending the next few days with, on board the Hurtigruten Trondheim. I was flying with Norwegian Air who I had not flown with before. They offer a number of direct flights from London to many Norwegian destinations including Alesund, Bergen, Oslo, Tromso and Tromdheim. From Manchester you can fly directly to Bergen and Stavanger, from Edinburgh you can catch a direct flight to Bergen and Oslo. Norwegian Air also offer direct flights from the UK to Denmark, Spain, Portugal, Croatia, Sweden, Finland and France. I used the self-service check in machines at all airports I encountered on this trip, this was a nice and easy process which avoided waiting in line for the actual check in desk, which was moving very slowly. After checking in for my flight and dropping off my luggage; through customs I went, and one coffee and a croissant later I was onboard and ready for take-off. We flew via Oslo and changed aircraft with approximately a two-hour connection time. The service we received onboard our Norwegian Air flight was good, I especially liked the complimentary wifi available. Refreshments were extra. On arrival at our final destination of Tromso we collected our luggage and hopped on the coach that was waiting for us outside. We drove for about 15 minutes down to our hotel at Tromso port. 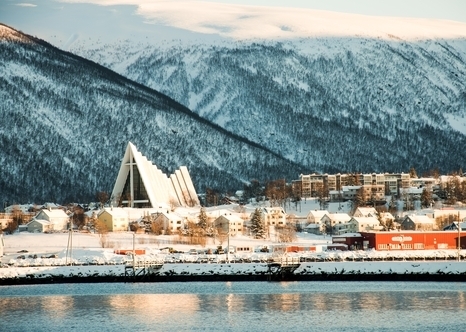 The port is centrally located and is directly opposite the Arctic Cathedral. Because of the churches distinct look, it has often been called ’The Opera House of Norway’, likening it to the famous Sydney Opera House. As the ship wasn’t arriving into Tromso until much later this evening we were using the hotel as a base, and somewhere to store our luggage in the interim. We didn’t have much time here until we were being picked up for our evening dog sledding excursion to Tromso Villmarkssenter. This excursion is approximately 25 minutes’ drive from the port, by the time we got there it was dark and very cold, this didn’t bother me as I was so excited about what was one of the highlights of the trip for me. On arrival at the dog sledding we were greeted and given our cosy all in one snow suits and boots. Once all snug in these we stepped outside to see a mass of Alaskan Huskies all howling at the moon and looking very excited at the thought of taking us on a sleigh ride through the snow covered forest. 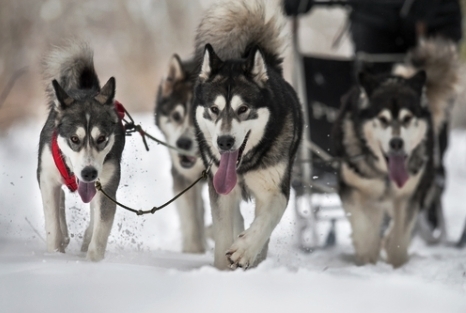 The husky sledding was absolutely brilliant! I would recommend it to everyone. We wove our way through the trees and over bumps and humps. It was fantastic. No sign of the Northern Lights yet but I have a few more nights to hopefully see them. After the ride which lasted 25 minutes or so we had a chance to say hello to our dogs and even had a look in on the 5 day old puppies. After this we headed to dinner which was being served in a warm and cosy wooden Sami Lavvo (tent) with a roaring fire in the centre. We enjoyed a cup of hot vegetable soup, followed by a traditional Norwegian reindeer stew, topped off with tea/coffee and a slice of delicious chocolate cake. We warmed up in here for an hour or so before heading back to Tromso by coach to watch our ship, the MS Trollfjord sail in. We were on board just after midnight within about 5 minutes of the ship arriving. It had been a long day but finished on a high with the husky sledding. My group and I decided to have a night cap before retiring to our cabins for a much needed sleep. 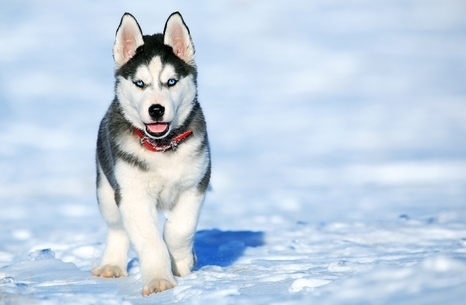 The Husky Sledding experience lasts for 3 hours 30 minutes. 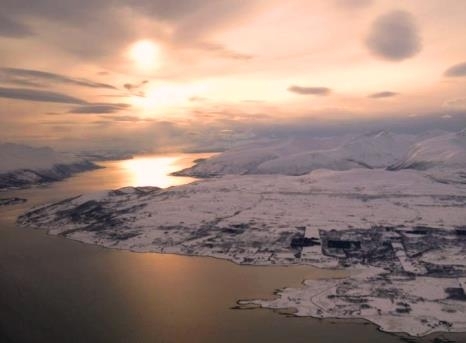 Prices starts at £129 per person, which includes round trip transfers from your hotel in Tromso. Click here to view Day 2.